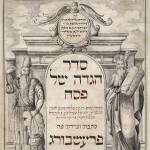 jewish books | Skinner Inc.
MARLBOROUGH, MA – Skinner, Inc. is hosting an online auction of Judaica with bidding open from December 7 through December 15. Highlights from the auction will be on preview in Marlborough on December 13 & 14 or to view online, anytime. BOSTON, Mass. – September 19, 2013 – Skinner, Inc. will host an auction of Fine Judaica on October 3rd in its Boston Gallery. 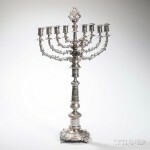 The sale features property from the estate of Nahum Goldmann, artwork by Ilya Schor, silver ceremonial items, Torah ornaments, as well Jewish art and books.